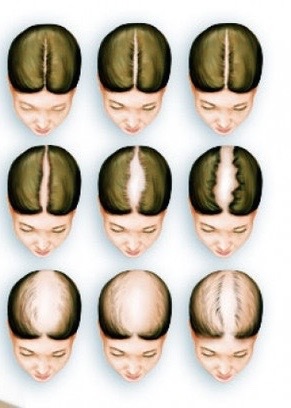 Hair loss can occur due to many different factors and health issues. If this is an uncommon occurrence for you check out my simple solutions to common causes for abnormal hair loss. If you notice a great deal of hair loss and this is abnormal for you, it is a good idea to go to your physician for a health evaluation. Hair loss can be a sign of an underlying health issue. And often, hair 'growth aids' aren't a solution. So before you stop popping unnecessary (and potentially harmful) supplements, check out the list of solutions, below! Stress: Mediation, exercise and talking to friends/family. Lack of rest: Sleep longer and relax more often. If this is due to insomnia or sleep apnea see a doctor for referral to a sleep specialist. Illness: See doctor for a health examination. Hormonal imbalance: see doctor and gynecologist can provide treatment as well. Vitamin deficiency: Get blood work done and develop a plan with doctor and nutritionist. Styling the hair in high tension styles: Do low manipulation styles with less/no tension. Scalp infections (usually fungal): See dermatologist/ trichologist. Side effects of new medications: Consult with doctor for other options. Use of too much direct heat: Begin wearing styles that are heat-less more often such as roller sets, updos, buns, twist/braids, twist outs and braid outs. General anesthesia for surgery: Consult a doctor. Post childbirth: This is normal for many people but the amounts of hair loss varies greatly. If it is excessive or causing concern speak with your doctor. Over manipulation of hair: Do low manipulation styles that will keep your hands out of your hair on a regular basis. Hopefully this has been helpful to you. If you have any questions feel free to ask in the comment section. Disclaimer: I am not a physician and only share what I know, have done or recommended for others. Always consult a physician for your primary medical care.